Team up with a car dealership you can trust, contact Ganley Toyota in Akron, Ohio for auto loan assistance today! Our new and used Toyota dealership near Brunswick, OH has a friendly finance department that is eager to learn the details of your financial situation and how we can help set you up for success in the future. Don't try to navigate the car loan avenues on your own, especially if you have no credit or experience with the process, contact Ganley Toyota to get the auto financing assistance you deserve! 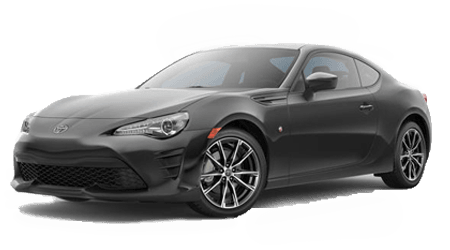 Ganley Toyota is not like other car dealerships out there, we care about your satisfaction and your financial well-being and only present you with loan options that fit within your budget. Express your desire for a car loan today, use our website to complete our secure online credit application now; once you've answered the few simple questions that comprise this form, send it over to our dealership. Our finance department will be notified as soon as we receive your material and one of our knowledgeable associates will start to review your form and run a credit check. Our services are discreet and our response time fast, so don't spend another day driving behind the wheel of a car you don't want, contact Ganley Toyota to secure a stylish Toyota Camry now! After you apply for credit financing assistance, our team will contact you to discuss the factors that loan lenders consider when reviewing your eligibility. Your credit score is an important element when it comes to less than perfect credit car loans, go over your rating with one of our professionals today and learn about the situations that helped lead to your score. We'll not only review how you got that score, we'll go over ways to improve it today! Your debt-to-income ratio looks at your ability to pay a car loan back over the specified period of time outlined in the loan. Lenders will look at any other loans you've taken out, your monthly income and any existing payment plans you have set up. Both our Toyota dealership and our lenders want to ensure we're not putting you in a difficult situation; we're here to help and will work diligently to provide you with loan packages that enable you to make those monthly payments with ease. Brand new cars have more strict terms when it comes to loans, as they depreciate more quickly than pre-owned vehicles do. Talk to us about the new Toyota RAV4 or the pre-owned Toyota Tacoma that has captured your attention, we'll work hard to negotiate the terms that allow you to take home a new ride or to secure used car financing. In addition to all the above, lenders will also take into account your past financial records, including repossessions, foreclosures, divorce proceedings and even bankruptcy filings. Don't be alarmed, our team is here to highlight your strengths so you can take home a reliable vehicle today! The professionals here at Ganley Toyota in Akron, Ohio can't wait to bring their expertise to your unique situation. Send over your credit application now or make the short trip over from Brunswick to see us! We offer long business hours that ensure you're always able to find time to drop by! Thank you for allowing our new and used Toyota dealership to assist with your credit building situation, we won't let you down.